If you are planning to gift a smartphone to yourself or your family and friends on the occasion of Dussehra, then instead of worrying about your budget choose a Tecno smartphone. It has an exhaustive range of models to choose from, all of which are rich in features and come with an affordable price tag. This means you can access the best technology without straining your finances. Moreover, to make your purchase more economical you can buy Tecno smartphones using exciting Dussehra offers. One way of doing so is shopping for Tecno mobiles on EMI. An even better option is shopping for them on No Cost EMIs from the Bajaj Finserv EMI Network. Here you can shop for smartphones and other products and services on EMIs and repaying will comprise only making payments towards the purchase price of the phone and nothing else. You can add more convenience to your shopping by buying the phone online or offline by selecting a partner store from over 60,000 stores spread across 1,300+ cities. Simply pay for your purchase using the EMI Network Card or avail in-store financing on the spot. Apart from this you can also enjoy festive discounts, offers and cashbacks when you choose the Bajaj Finserv EMI Network. Now that you know where to shop, here is a list of Tecno mobiles on EMIs starting from Rs.874 that you can buy this Dussehra. This I5 Pro Tecno smartphone offers a magnificent display of 5.5 inches with 1280×720 pixel resolution. It flaunts a 13MP rear camera with LED flash to click amazing pictures at night and an 8MP front camera with an LED flash for exuberant selfies. It also has a 1.5GHz Quad-Core processor along with a 3GB RAM and 32GB internal memory, giving you the speed that you need to multitask easily on your phone. To enjoy more, browse more and read more on your phone, you can rely on Tecno’s long battery life of 4,000mAh. It also comes with an anti-oil fingerprint sensor that allows you to unlock your phone. This Tecno phone is extremely affordable but looks, feels and functions like a high-end smartphone. From performance to value-added features, this Tecno smartphone offers every feature you need. It sports a 6.2-inch notch display with 1500×720 pixel resolution giving you a sharp viewing experience. Apart from this the phone comes with superior 13MP and 5MP dual rear cameras with quad flash, bokeh mode, AI beauty and a panorama mode. It also has a 24MP selfie camera with a flash to click beautiful selfies. What’s more, the phone is powered by a 2.0GHz Octa-Core processor, 4GB RAM and 64GB internal storage so that you can multitask on your phone at the speed of lightning. It has a powerful 3,750mAh battery that is sure to last all day long. Tecno I7 has a full HD 5.5-inch display and weighs only 155g that makes it lighter and easier to carry in your hand. The phone is packed with a 13MP primary camera and 16MP selfie camera to perfectly capture every moment. It runs on Android 7.0 and is powered by a 1.5GHz Octa-Core processor, 4GB RAM and 32GB internal memory so that you can use your phone for work or play without any lags. In addition, it has a robust 4,000mAh battery that will last you all day long and allow you to play games, surf the internet and watch movies. The phone is built with 5.5-inch full view display and has an 18:9 aspect ratio that optimises your viewing experience. It features a 13MP rear camera and 8MP front camera along with AI beauty, auto scene detection, flash and other camera features that allow you to click mesmerising pictures. 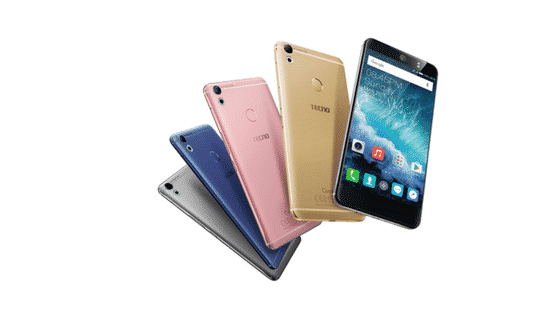 The Tecno smartphone offers easy usage with an Android 8.1 interface and is embedded with 1.28GHz processor for excellent speed. To add to its performance, it harnesses power from a 2GB RAM. It also has up to 16GB internal memory for you to store all that you wish to without weighing down the phone’s performance. Moreover, with a 3050mAh battery, this Tecno phone lasts you almost an entire day. To keep your data secure it also comes with a face unlock feature that takes just a fraction of a second to give you access to your data. This Tecno smartphone offers a 5.45-inch display that gives you an amazing, theatre-like viewing experience. Moreover, this model projects all images and videos in high resolution so that you can enjoy real, life-like colours and sharp video output. The phone’s design is slim and light which gives you a better grip and makes it easy to use with just one hand. In addition, it has a 13MP rear camera and an 8MP front camera that allow you to click amazing pictures in every light condition. Its robust 3,050mAh battery keeps you going for a whole day so you don’t have to pause and charge your phone ever so often. Apart from this the phone has an ambient light sensor, anti-oil fingerprint sensor, G-sensor and proximity sensor to make it more user-friendly. Now that you have the list of the best Tecno smartphones, head to the Bajaj Finserv EMI Network partner stores to buy your favourite mobile. Check your pre-approved offer by entering basic details like your name and phone number in just a click. Then use the finance ready for you to buy a Tecno smartphone this Dussehra quickly and comfortably.